When we are talking about air travel, positioning can mean one of two things. In the aviation industry, a positioning flight occurs when an airline needs to send a plane to another place for conducting a flight. It can be a passenger or cargo plane that ended one flight in one airport, but must start another commercial flight in a different airport. In the past, these flight used to be conducted without passengers, but that has changed. There is a whole underground science of spotting these flights because many people believe airlines sell discounted tickets for them. But for award flights, it’s different. In terms of award travel, a positioning flight is a journey you must take in order to get to or from your main gateway city. For example, when you fly to Europe, your main segment is over the Pacific or Atlantic Ocean, and if you don’t live in or close to one of the major international hub, you need to get there somehow. In many cases it won’t be a problem because you can find a connecting flight that would start and terminate in your city. However, if you live in a small town that big airlines don’t shower with too much attention, you might have to take an extra step. Even if you live in or close to a big city, that doesn’t mean you will never need positioning. When you start searching for an award flight, your first instinct is to enter your origin and destination cities. That is the right impulse. If you manage to find a direct flight, that’s great. However, sometimes a long flight over the ocean from U.S. might be available while a short flight to that gateway airport is not. This is why. These are major reasons, but there are nuances as well. Sometimes, the flight between your hometown and the gateway city is available, but in a different class of service, and the airline doesn’t allow you to travel in different classes on the same award ticket. Other times, and this is especially true for a foreign carrier, you might not be allowed to throw a partner flight into the mix. And sometimes, things just don’t work out. It happens. There are different ways to position yourself for the main flight. You can get a separate and more expensive award ticket rather than the cheaper saver fares, but that may require you to pay standard rates or even buy two tickets. 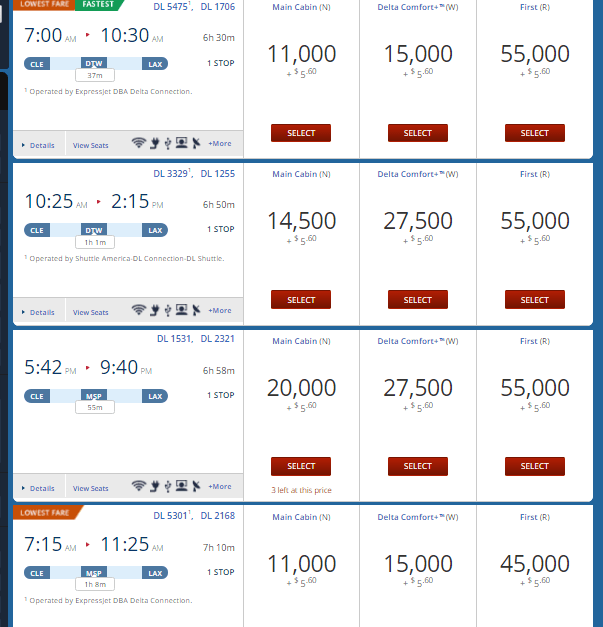 Options are more available if the cost in miles is not an issue. Or it may make sense to pay cash and save your miles for another trip. 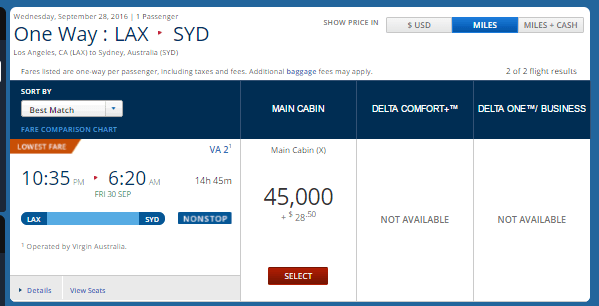 One example of why you might need a positioning flight on Delta to fly to Australia/New Zealand is that there are simply no flights to that part of the world from the East Coast. One exception is New York, because Qantas has a connecting flight between JFK and LAX, but Qantas is not a Delta partner. So it doesn’t matter where you live – in New York, Miami or a small town in Michigan, you will need a positioning flight to the West Coast unless Delta can get you there, which is not likely. In this screenshot you can see that there are no issues with award space between LA and Sydney. It’s wide-open for almost every day of the month. But when you try to get there from Cleveland, for example, you’ll see this. 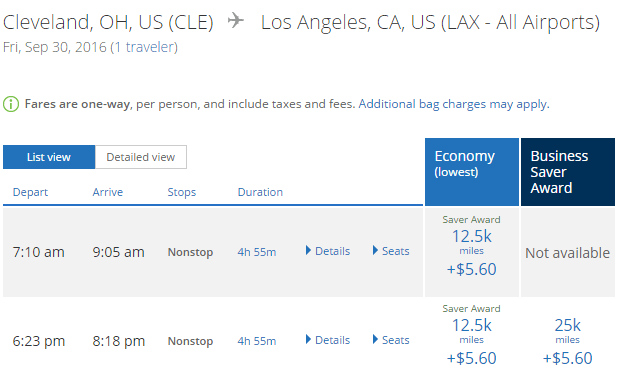 Which may seem strange because Delta can fly you between Cleveland and Los Angeles, and even offers a discounted rate of 11,000 miles in this example (the saver rate is normally 12,500 miles). The problem is in a convoluted routing between these cities. 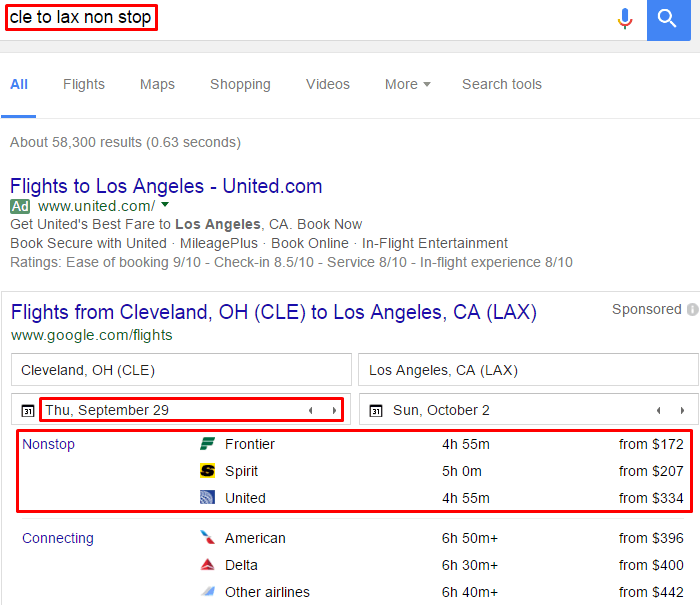 Delta doesn’t have a nonstop flight between Cleveland and LA. In order to get you to LA, Delta routes you via Detroit if you’re lucky, or the East Coast via Atlanta and JFK, and the shortest flight time to LA is 6.5 hours. Are you be willing to fly a connecting flight before your incredibly long journey to Australia (which can also require a connecting flight) even if you could? The solution is to get a positioning flight to LA on your own. There are nonstop flights between Cleveland and LA on Frontier, Spirit and United, although we’d be wary of using Spirit if the connecting time is tight as there may be delays. 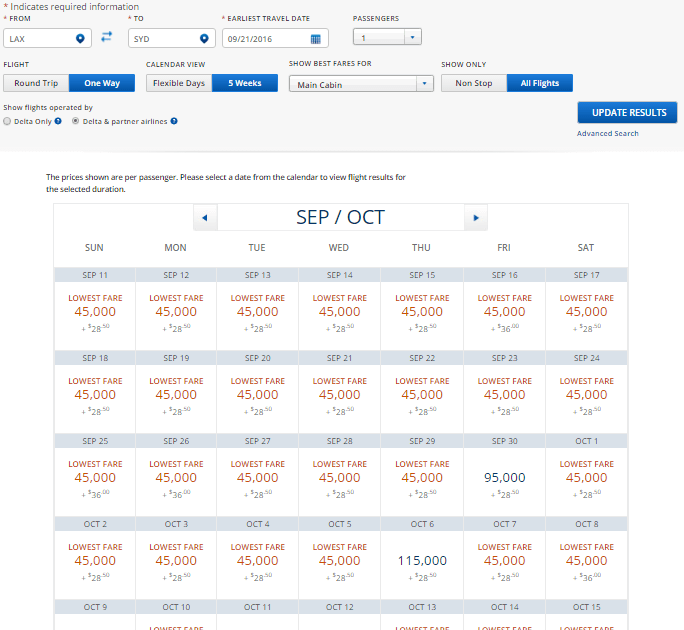 Instead you could check United and see if it has award availability for the day of your travel and if it could get you there in time for your flight. In our case, it seems to work fine, although two hours might feel a little tight for an international flight connection. Or you can pay with cash. 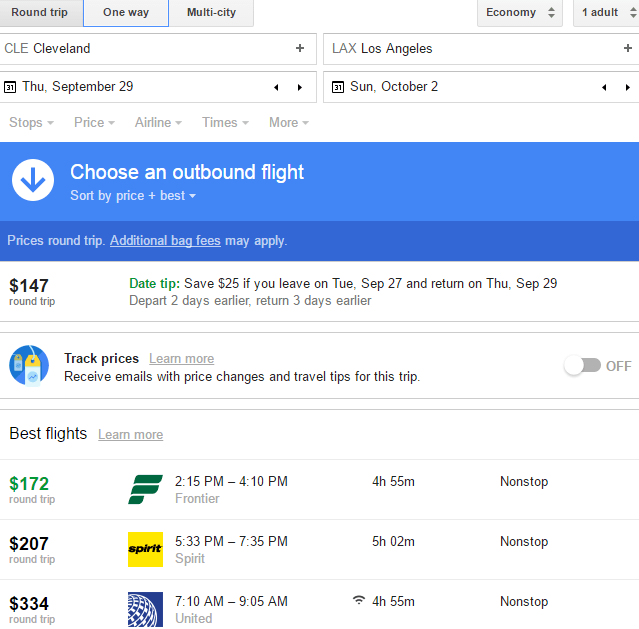 Google Flight is a very easy tool to use, and it helps you get an idea of who flies nonstop between certain city pairs. If you see a fare you like, it will redirect you to the airline’s website for booking. All you need to do is to enter a search string like this. Remember that this is a round-trip price. For one-way travel click “One way” on the next page. In this case for example, Frontier is a winner. The flight would only cost you $74 and it will get you to Los Angeles with plenty of time to spare before the main journey. 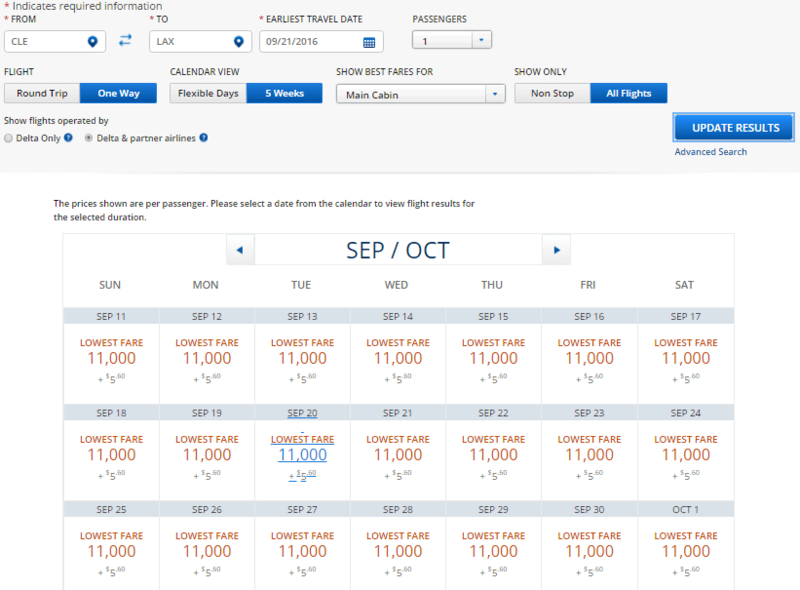 You might be tempted to save the 12,500 United miles for another occasion. On the other hand, when a revenue flight costs an arm and a leg, which is often the case for cities with little airline competition, an award ticket is the way to go.